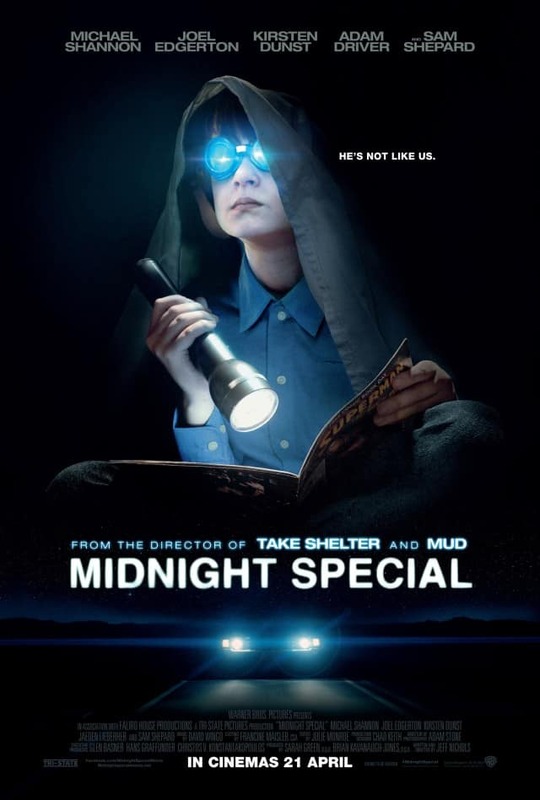 Synopsis: A father (Michael Shannon) goes on the run to protect his young son, Alton (Jaeden Lieberher), and uncover the truth behind the boy’s special powers. What starts as a race from religious extremists and local law enforcement quickly escalates to a nationwide manhunt involving the highest levels of the Federal Government. Ultimately his father risks everything to protect Alton and help fulfill a destiny that could change the world forever, in this genre – defying film as supernatural as it is intimately human. 1. The Contest begins on 4 Apr 2016 and ends at 1200 hours on 8 Apr 2016. 2. The Contest is open to participants residing in Singapore, who are 18 years of age or older as of the time of entry. 3. You are allowed to enter the contest only once. You must already be a fan of F*** Magazine’s Facebook page, Twitter page and Instagram page. 4. F*** Magazine reserves the right at any time in their absolute discretion to cancel or modify the contest or substitute, withdraw or cancel any prize without prior notice and without having to disclose any reason.